How to apply the key techniques learnt in One-Minute Manager. This is the companion to the original blockbuster bestseller which has transformed businesses around the world. This is the essential companion volume to The One Minute Manager, the international bestseller praised by top managers around the world. This book shows how the One Minute management techniques can be applied on a day-to-day basis to improve performance, productivity and profits. Their message is that there is no `quick fix'. The keys to successful management are conviction and consistency. 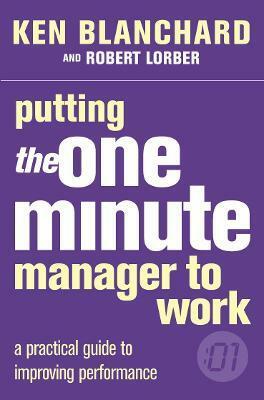 Putting the One Minute Manager to Work is essential reading for all those who aspire to management, and to managing well.